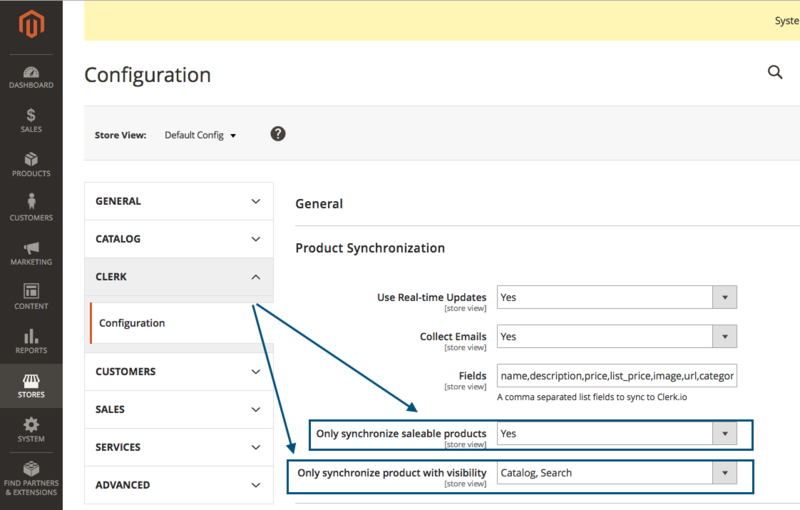 Per standard, the Magento 2 extension only imports products that are in stock and saleable. This can be changed if needed. 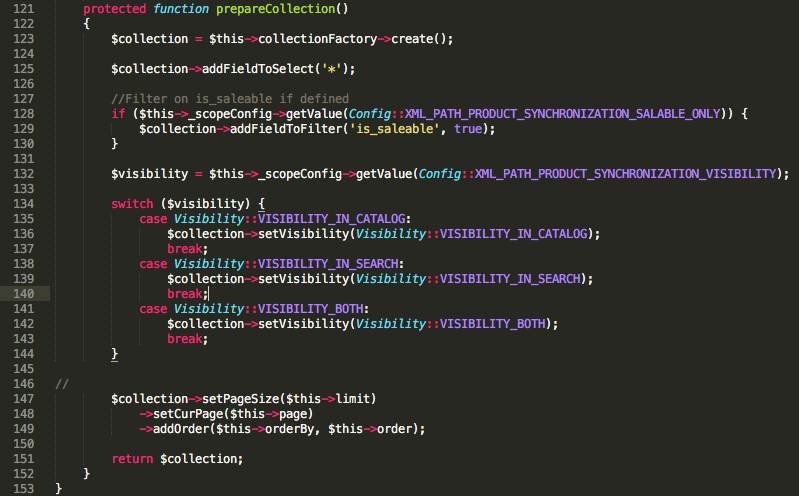 In the Magento 2 backend, go to Stores->Configuration->Clerk->Configuration. After making your changes, click Save Config. If you do this, we strongly recommend that you also add an extra attribute to Magento 2, which indicates when a product is not saleable, so you can show it in your Design. 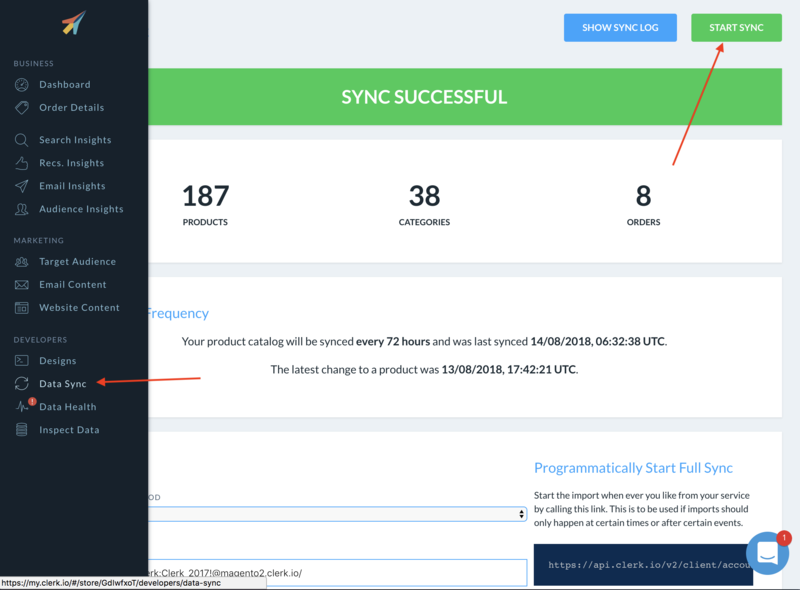 Then go to my.clerk.io -> Data Sync and click Start Sync to sync with the new rules. In the bottom of this file, locate the function called prepareCollection().